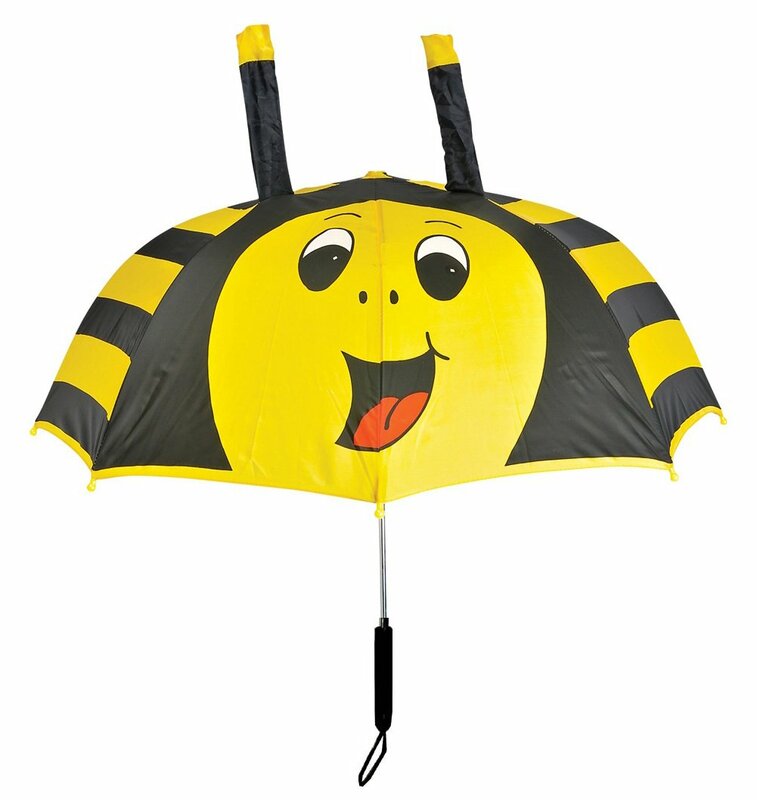 These very cute Bee Children's umbrellas have sticky-out ears, a trunk and even tusks. These novel, yellow/black Bee Children's umbrellas come with a molded blue matching handle and tip protectors to prevent your child from scratching him/her self. The Bee Children's umbrellas are manual-open and simply look fantastic ... your child is bound to enjoy his/her next walk to school in the rain with one of our really fun and colorful Children's umbrellas.